Indian Super League club Jamshedpur FC are all set to sign defenders Joyner Lourenco and Keegan Pereira for next season, according to sources. 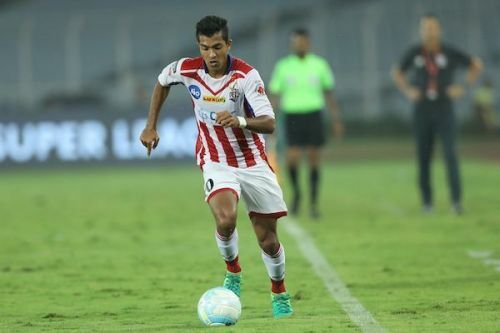 While Joyner will join from Mumbai City FC, Pereira will travel from NorthEast United. On the other hand, they will make a permanent deal with Augustin Fernandes, whose contract runs till the end of this season. Jamshedpur finished in the fifth position in the recently concluded Indian Super League season. Even after producing some mind-blowing performances, which included a 4-1 thrashing of FC Goa, Jamshedpur season has largely been marred by conceding goals at crucial moments. Before the upcoming Super Cup, they want to fill the gap by signing two talented defenders of the country. Lourenco had joined Mumbai City midway this season as a replacement for Davinder Singh, who was sidelined for the remainder of the season after rupturing his anterior cruciate ligament. The Goanese defender has since impressed Mumbai City coach Jorge Costa in the left-back position. Lourenco made 10 appearances this season. He forced 30 tackles along with 11 interceptions and 57 clearances. After starting his career with local club Velha, Lourenco spent eight seasons at Sporting Club de Goa and featured regularly in the I-League. He was signed by Bengaluru FC in 2017 and made five appearances in 2018 AFC Cup. After signing for Mumbai City, Lourenco made his debut on October 27, last year against Delhi Dynamos. Keegan is a veteran in Indian football. Starting his career with Mumbai FC, Keegan went on to represent Salgaocar and DSK Shivajians before he was signed by Bengaluru FC. He was a part of the team that won the I-League in their debut season. The Mumbaikar was roped in by hometown club Mumbai City in ISL but he was again loaned back to Bengaluru. Keegan made a permanent move to ATK in 2016 and the next season he again joined his former club Bengaluru. After having a brief spell in ATK, he signed for NorthEast United and was signed by NorthEast United. He was very much the part of the plan of coach Eelco Schattorie and helped the club to reach semi-finals for the first time. Fernandes was signed on January 25 as a replacement for Gourav Mukhi, who was suspended for six months after the alleged age fraud. He played three matches for the club and scored one goal so far.